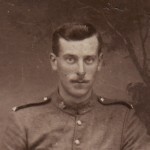 Albert Henry Shopland, 23, joined the war effort on 17 March 1916, when he attested at Winnipeg, Canada. He was at that time working as a farmer in Yarbo, Saschatchewan. Shopland was born on 19 August 1892 in Cheltenham, Gloucestershire and had lived as a child at 41a Goldsboro Road, near Wandsworth Road. He stood 5 feet 11 inches tall, and had a fair complexion with blue eyes and dark brown hair. 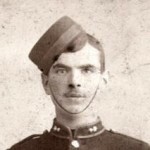 He stated that he had previously served with the Royal West Surrey Territorials. He was unmarried. 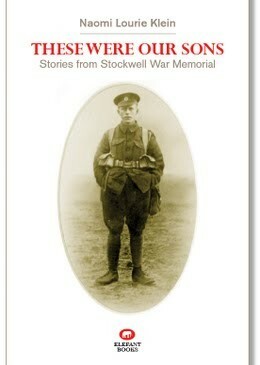 Information from Robin Shopland: There were two brothers William Robert Shopland (Bert’s father) and Albert Shopland (Bert’s uncle) who married two sisters Jane and Kate Scott, who came from an army family. 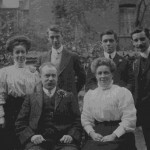 Brother Albert and his wife Kate emigrated to work in Canada. Bert was named after his uncle and presumably later followed his uncle over there. 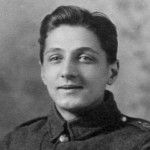 His siblings were brother William who I believe was in India with the army, sisters Kathleen and Edith Mary, and his brother Frederick who was 12 at the outbreak of war. There may have also been another baby who died in infancy. 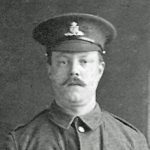 It is likely that Albert Shopland left England before 1911. He does not appear on the 1911 census return for the Shopland family at 41a Goldsboro Road (where the family had lived since at least 1901). 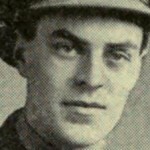 Shopland’s father, William Robert Shopland, 49, was a coach body maker born at Bridgwater, Somerset; his mother, Jane Shopland, 45, was from Windsor, Berkshire. 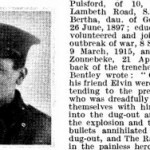 Kathleen Shopland, two years Albert’s junior, was 16 and, like him, born in Cheltenham. His younger siblings, Edith Mary Shopland, 14, and Frederick Thomas, 9, were born in London. William and Jane had eight babies born alive, three of whom died.